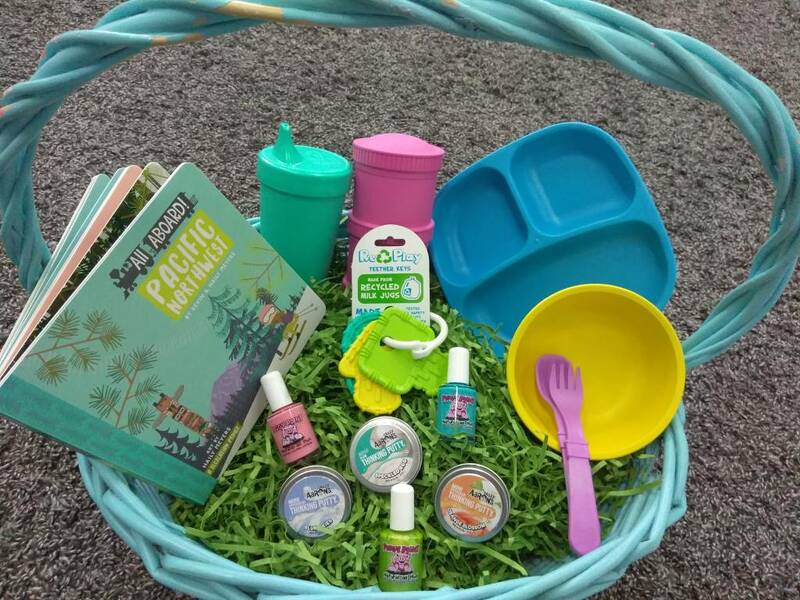 Mother and Earth Baby Boutique features 10 great basket stuffers for your child's Easter basket! We know that you want great, useful, quality items to fill your child's basket with this Easter! We have you covered. Not only are they all American companies and Earth-friendly, they are all under $10. Pacifier clips and crayon caddies, made by a local mom in Grand Ledge, MI, are a great addition for busy little hands! Washable and water resistant sandwich bags are great for snacks on the go. Let your little one strut their independence with these easy to open and close zipper bags. Also handmade by a Michigan mom and tons of fun patterns available. Ducky Bath Scrubbies are handmade by one of the most enjoyable Grandmas you'd ever want to meet. Joyce just loves making things that will bring a smile to someones face! We think your little one with love the addition of a little Ducky to their next bath. Handmade by a family in Jackson, MI, these little rattles are so cute and well made. Besides, what would an Easter basket be without a bunny or chick? (These are sugar free!) We also have coordinating bibs available. Local mom made headbands, hair clips, and bow ties. These are perfection! Top off your child's look with one of these felt accessories. The bands are made of nylon and very gentle. Need a special color or design? If we don't have it in stock, we can get it for you! Just ask. Travel the world with any one of these well illustrated board books. Choose from the Pacific Northwest, California, New York, Washington DC, or even London! No worries when you see little fingers in the mouth with this water based nail polish. It was created by a mom that was mortified when she saw traditional nail polish eat through a foam plate. American made, completely non-toxic, drys hard like traditional polish, and we have a variety of colors available. This stuff is seriously crazy! American made, non-toxic putty that never dries out and doesn't leave residue on your hands. Some of it glows in the dark, changes color with temperature, or color illusion, whatever it is...it's FUN! Larger tins available with glow chargers for writing on putty or may favorite is the magnetic putty. Don't forget about the big kids in your life! The Easter color mixing and matching is endless with RePlay. Made from 100% recycled milk jugs in Florida, this is an earth-friendly treat meant to hold all your treats! They are all top shelf dishwasher safe, BPA free, and freezer safe. If you haven't tried the leak-proof sippy cups (FOR-REAL!) and snack cups, they are A-mazing! The RePlay keys are also made from recycled milk jugs in Florida. Your little one can chew on them and feel the different textures and you can keep them clean by sticking them in the dishwasher!